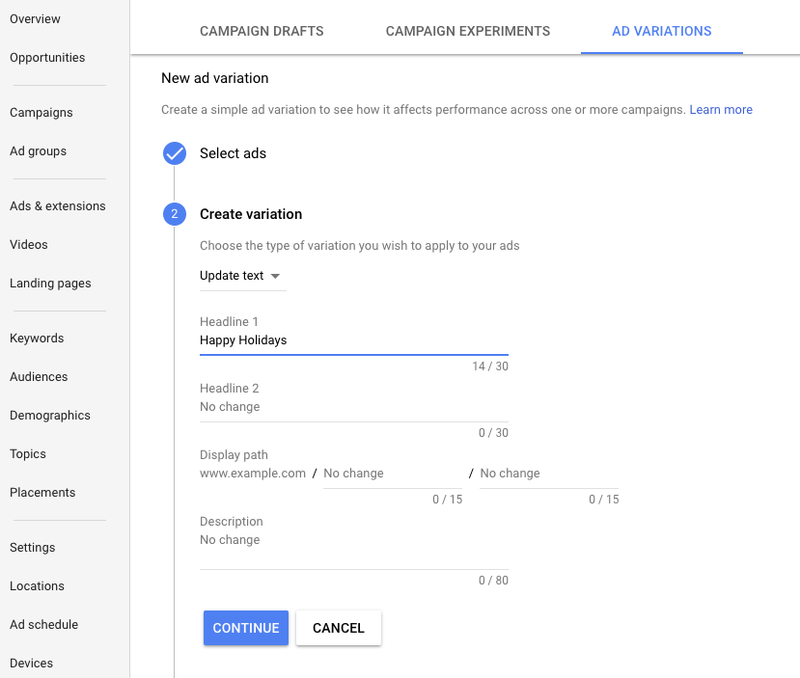 The new AdWords experience is packed with new features like promotion extensions and ad variations that have helped advertisers improve performance. For example, Torrid saw a 30% lift in conversion rate when using promotion extensions to highlight limited time offers alongside ad copy that emphasized quality and fit. Merkle also increased conversions by 14% after running an ad variations test with expanded text ads. And new shortcuts like pressing “G” then “T” let you navigate to any page within your account so you can get to the data that matters to you, faster. As you search in AdWords, keyboard shortcuts will be suggested for future use. 2. I will test more. Testing in AdWords is crucial when optimizing your account. To increase return on ad spend (ROAS), the Honest Company used campaign drafts and experiments for efficiently exploring new strategies—saving 50% more time compared to manual trials. The Honest Company experimented with sending shoppers to product pages versus special offer landing pages for "bath" and "body" keywords. As a result of the test, the Honest Company saw a 47% increase in ROAS when sending shoppers to unique offer landing pages. 3. I will do more in less time. Smart Bidding helps marketers bid both more efficiently and effectively. Powered by Google’s machine learning, it automatically sets the right bid for each and every auction. Bonprix, a leading fashion brand in Europe, drove 25% more revenue at the same ROAS and more than 50% in incremental revenue on mobile, by using Smart Bidding with Target ROAS. According to Sönke Harms, Bonprix’s Head of Shopping ads, Smart Bidding allowed the team to focus on “delivering key analyses, identifying strategic opportunities, and driving important initiatives.” Read our best practices guide to get started with Smart Bidding. 4. I will reach more shoppers. Mobile searches for “where to buy” grew more than 85% over the past two years.1 That’s why it’s critical to help shoppers find your business both online and when they’re on-the-go. With location extensions, you can show your address, business hours, a map to your location, and more. You can also reach and bid higher specifically for people who are located near your business. Jerome’s Furniture combined location extensions with local inventory ads and store visits measurement to increase conversions by 93% across online and offline channels. 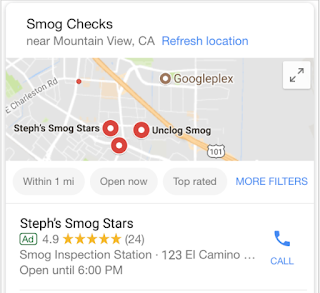 Location extensions show your business information in various formats on the Search Network, Display Network, and Google Maps. 5. I will stay informed. With the AdWords app, you can receive timely alerts notifying you of issues and opportunities in your account. You can also easily pause campaigns and adjust budgets and bids. Adding, editing, and removing keywords is also simple. Best of all, you can do all of this right from the palm of your hand. Download the app now on Android or iOS. 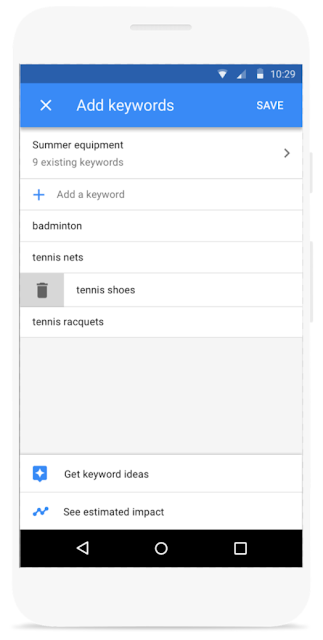 With the AdWords app, you can manage your keywords and more on-the-go. To receive more AdWords tips and tricks, be sure to subscribe to our Best Practices newsletter. From our AdWords family to yours—happy holidays, and we’ll see you in 2018! 1. Source: Google Data, U.S., Jan.-June 2015 vs. Jan.-June 2017. With 2018 only weeks away, our team compiled a few AdWords New Year’s resolutions for you to consider. 1. I will try out new AdWords innovations.
? That’s just one of the eye-opening consumer trends we’re watching closely now that the 2017 holiday season is in full swing. 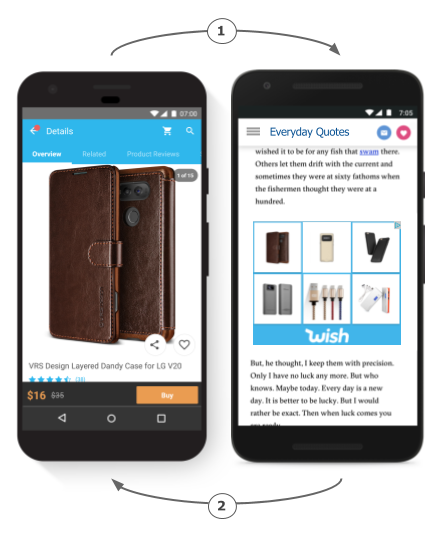 With mobile, shoppers know they can easily find and get what they’re looking for up until the last minute. So, despite all of the improvements retailers have made to shipping speed and product availability, many people still wait to buy. That means that a lot of December’s holiday shopping happens right before—and even after—Christmas, giving more reason for retailers to continue to drive store traffic from online and offline media throughout the season. Retailers may be pushing their holiday deals earlier and earlier, but some shoppers are still waiting longer and longer, weighing their options to make their final choices. When shoppers consider a new purchase, they spend 13 days on average shopping for the item. But once they decide to buy, almost half expect it either the same day or the next day2. In fact, mobile searches related to “same day shipping” have grown 120% since 20153. It’s no wonder, then, that we see online conversions from the week before December’s shipping cutoff date on par with the the week of Cyber Monday4, as holiday shoppers make a last-ditch effort to get their presents sent to their doorstep. The last week before Christmas is crazy busy, of course, but it's also very local. Around Dec. 21, when the online shipping cutoff passes, shoppers increasingly turn to their hometown stores to get what they need. Regardless of which day of the week Christmas falls, the in-store holiday rush starts on the Friday one full week before Christmas. The Saturday after that is typically the second-busiest day of December. The busiest day of all in the last month of the year? That’s Dec. 23, regardless of what day of the week it falls on5. This year, retailers have an edge: With Christmas on a Monday, there are two full weekends (Dec. 15-17 and 22-24) in the 10 days before the holiday. This bodes well for store traffic with shoppers out in force on Fridays and Saturdays. The takeaway? With people turning to stores at the last minute, be sure to highlight your local products for the best chance at drawing shoppers to your door. Check out our Shopping best practices guide to learn how you can drive traffic to your store this holiday season. The days between Christmas and New Year's Eve are just as busy as every other day in December (other than Christmas week itself). For general shopping queries (such as “shopping near me” or “store hours”), we see 34% more searches on Christmas Day than we do on Black Friday. Though searches for “where to buy” increase up until Dec. 23, the queries recover to pre-Christmas week levels and stay steady for the final week of the year8. And this post-Christmas shopping busyness isn’t just happening online. In fact, last year we saw about 20% of all December store traffic happen in the six days after Christmas9. And why is that? With searches for “clearance” spiking on December 2610, shoppers are likely looking to redeem gift cards, make returns and exchanges, find gifts for people they haven’t seen yet, or decide to “gift” themselves a little extra. While Black Friday is still a major in-store shopping day for some categories, such as electronics and furniture, many specialty stores see more foot traffic leading up to, and after, Christmas Day than on Black Friday. In 2016, toy stores and bookstores, for example, saw the most foot traffic of the holiday season on Dec. 23, while video game stores saw their busiest holiday shopping day on Dec. 2611. Mobile has fundamentally changed the way holiday shoppers complete their lists. They expect to be able to find what they want, when they want it. And that means holiday shopping is happening right before—and even after—Christmas. That's a big opportunity for marketers who keep the lights on even after Santa slides through. 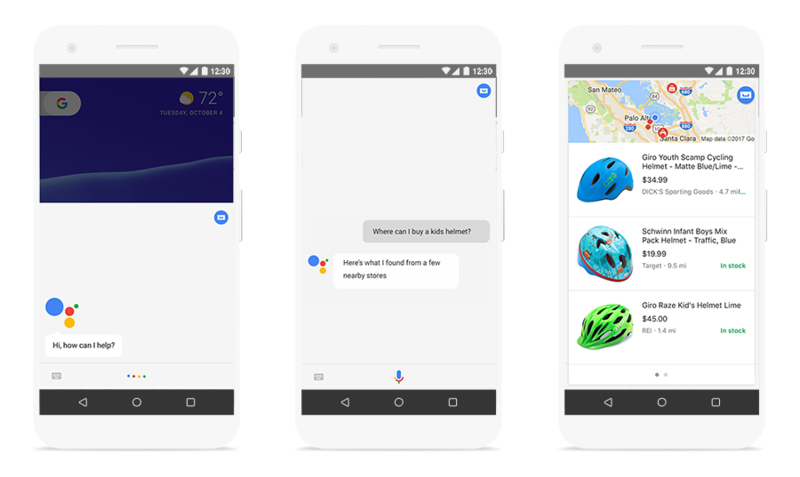 For more holiday insights, be sure to check out Think with Google. 1. Google Data, U.S., Nov.-Dec. 2016. 2. Google/Ipsos Fall Shopping Study, n=4,720, U.S., Sept. 2017, High Consideration Purchases. 3. Google Data, U.S., Jan.-June 2017 vs. Jan.-June 2015. 4. Google Analytics, Based on data from Google Analytics accounts that have authorized Google to share website data in an aggregate way, Shopping vertical only, Nov.-Dec. 2016. 5. Google Data, Aggregated, anonymized store traffic from a sample of U.S. users that have turned on Location History, U.S., Nov.-Dec. 2015 and 2016. 6. Google Data, U.S., Nov.-Dec. 2016. 7. Google Data, U.S., Nov.-Dec. 2016. 8. Google Data, U.S., Nov.-Dec. 2016. 9. Google Data, Aggregated, anonymized store traffic from a sample of U.S. users that have turned on Location History, U.S., Nov.-Dec. 2015 and 2016. 11. Google Data, Aggregated, anonymized store traffic from a sample of U.S. users that have turned on Location History, U.S., Nov.-Dec. 2015 and 2016. Would it surprise you to hear that we see 34% more shopping searches on Christmas Day than on Black Friday1? That’s just one of the eye-opening consumer trends we’re watching closely now that the 2017 holiday season is in full swing. product ratings, we’ve been working on new ways to help you gather feedback about your products and drive more qualified traffic to your site. Today, we’re making product ratings available in all markets where Google Shopping is present. Product ratings appear in the form of stars and review counts on Shopping ads. This 5-star rating system represents aggregated review data for the product, compiled from multiple sources including merchants, third-party aggregators, editorial sites and users. If you have a Merchant Center account for your store, you’ve already taken the first step towards displaying Product Ratings. Once you sign up and satisfy the program requirements, you can begin uploading Product Ratings feeds to your Merchant Center account. Alternatively, you may want to work with one of our approved third-party aggregators. Additionally, you can now collect reviews about the products you sell through Google Customer Reviews. Whenever your shoppers complete a purchase, we’ll ask them about their shopping experience with your store, as well as the product they purchased. The reviews collected about their shopping experience will contribute to your seller rating and, the product reviews collected can make you eligible to show product ratings. To learn more about how to use Google Customer Reviews to collect product reviews, see here. The product rating program is now available globally. For more information, please visit our Help Center. Since we introduced product ratings, we’ve been working on new ways to help you gather feedback about your products and drive more qualified traffic to your site. Today, we’re making product ratings available in all markets where Google Shopping is present. in Universal App campaigns (UAC)—so users can quickly spin a wheel, score a point or jump into level two, right from the ad. To show how playable ads in UAC benefit game developers and app marketers, let’s take a look at how Playtika, a leading mobile gaming company, used this format to reach more users for its game: House of Fun. People can spin a wheel directly in the ad and experience the thrill of the game before downloading. This gives game lovers a sense of how the game works, and what it takes to win, before installing. After introducing interactive and engaging playable ads and testing multiple creative formats, Playtika increased its return on ad spend (ROAS) by 1.8X. Here are three tips to help you get started with playable ads in UAC. 1. Make it short and sweet: Keep playable content short and engaging so that users don’t choose to skip your ad. We recommend that your ad be between 30-60 seconds long. Tailor the length for your app; it can vary depending on vertical and complexity of the ad. And gameplay in the ad should be easier to complete than in the actual game. 2. Be engaging but accurate: Make sure to include how you want users to interact with your ad into its design. This starts with a good first impression. Focus on the aspects of your game that capture people’s attention and gets players to come back. Set clear user expectations by including clear instructions and captions about how gameplay works—for example “swipe to scroll” and “shake your phone to jump”. 3. Have a clear call to action: This is your chance to summarize your game and to encourage users to play the full version by downloading your app. As an example, “Enjoyed playing? Download now to beat level two.” It’s important to make the call to action as clear as possible with a clickable area for a smooth transition into your game. We’re committed to innovating on Universal App campaigns—playable ads as the most recent addition. To learn more about how to make the most of UAC check out our best practices. The holiday season is upon us, and millions of consumers around the world are looking forward to unwrapping their new devices and downloading their favorite apps. People have so many choices when it comes to apps, so it’s critical for you to capture their attention and give them a reason to engage with your app. That’s why we’re rolling out HTML5 playable ads in Universal App campaigns (UAC)—so users can quickly spin a wheel, score a point or jump into level two, right from the ad. in New York City, I shared new innovations to help local and omni-channel marketers drive more foot traffic to business locations. 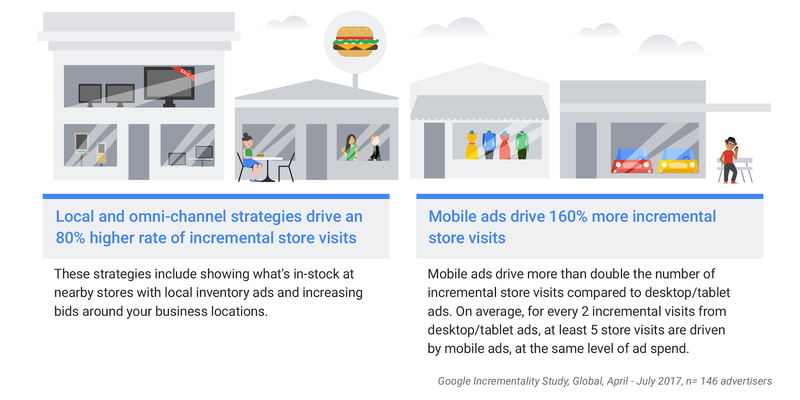 To help you succeed with these new innovations, we also updated our Best Practices guides with new recommendations to drive more offline sales with online ads, and to glean more actionable insights from your store visits data. So how can you make your ads more useful for nearby shoppers? 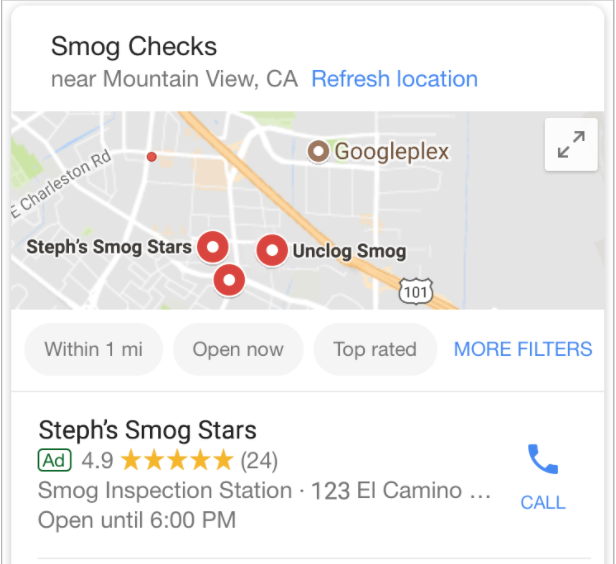 First, enhance them with location extensions — which are now available across Search, Display and YouTube — and point people to helpful information like your store hours and directions to your business. Or show them what’s in-stock at the nearest store using local inventory ads for your Shopping campaigns. As we announced yesterday, a new local ad for Display will also help you bring your traditional catalogs and circulars to life online, and spotlight in-store products and promotions in richer ways. Next, it’s critical to get a holistic view of your conversions to measure the full impact of your ads across online and offline channels. Use store visits for eligible advertisers to understand how your digital campaigns drive in-store performance. A recent study of over 140 advertisers globally showed that Google Search and Shopping ads drive a substantial number of incremental store visits across a wide range of verticals — these are visits that wouldn't have happened if a user hadn't engaged with a Google ad. They also influence more valuable purchase behavior once someone arrives at your store. To give you better insight into omni-channel performance, impression-based store visits are coming soon for display advertisers so you can measure when consumers visit your store after seeing your ad, even if they don’t click through. New time lag, new vs. returning customers and demographic reporting will also help you understand where your store visits come from. Use these alongside distance and geographic reporting for store visits to make smarter decisions about location targeting and bidding around your stores. Get more details on our latest innovations by watching the full keynote from SMX East or reading yesterday’s in-depth blog post. And don’t forget to check out our best practices on how to get more offline sales from your online ads. Yesterday at SMX East in New York City, I shared new innovations to help local and omni-channel marketers drive more foot traffic to business locations. 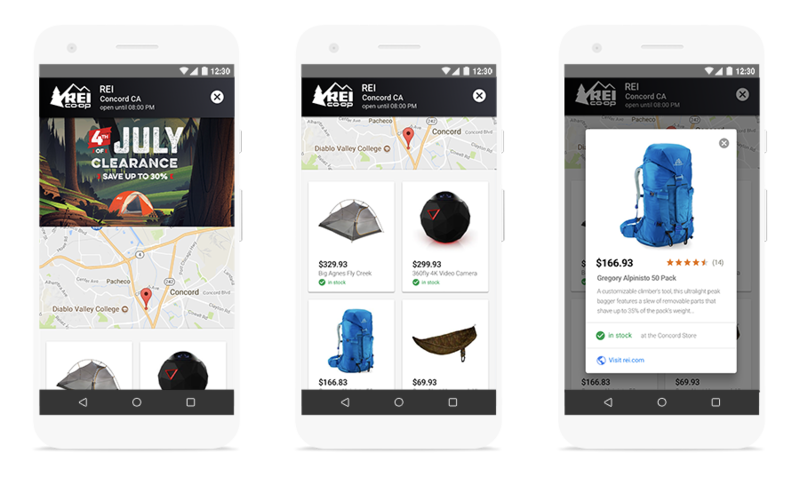 To help you succeed with these new innovations, we also updated our Best Practices guides with new recommendations to drive more offline sales with online ads, and to glean more actionable insights from your store visits data. , demanding and impatient than ever before. Today, we’re introducing innovations to help you meet these rising consumer expectations and win more customers during the holidays and beyond. Consumers sometimes know exactly what they're looking for, but over 40% of shopping-related searches on Google are still for broad, research-oriented terms like "women's athletic clothing" or "living room furniture. 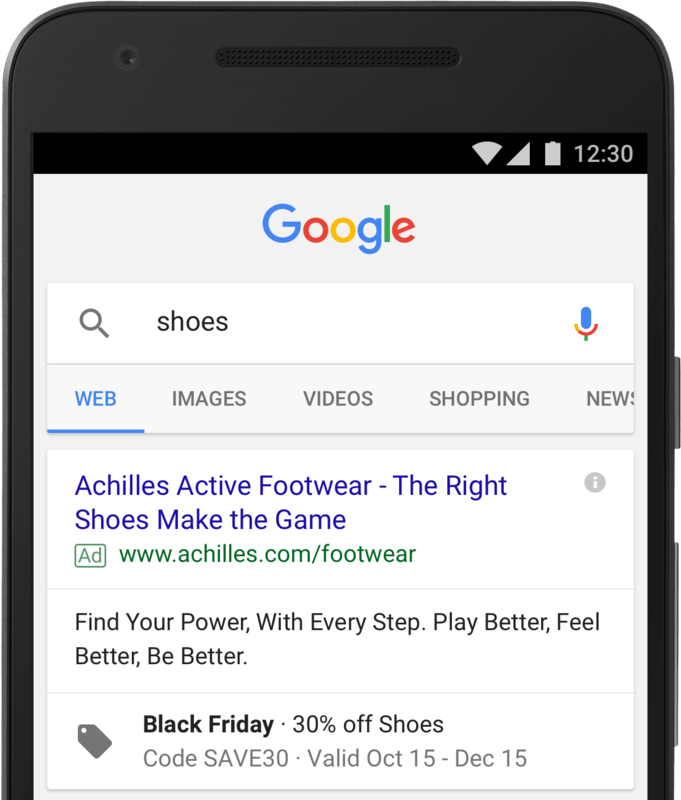 "1 To help curious holiday shoppers discover your brand and product selection when they’re still in exploration mode, we’ve launched Showcase Shopping ads in the new AdWords experience, and made it available to more advertisers globally in 15 new countries. These ads let brands curate a collection of lifestyle images and products to help people explore and discover what they want to buy and who they want to buy from. 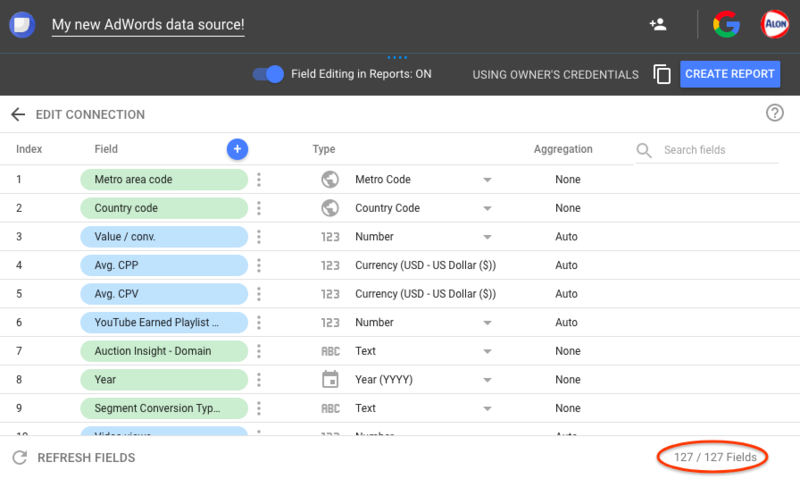 Additionally, If you use DoubleClick Search, Kenshoo or Marin as your third party bid management system, you can also track and report on Showcase Shopping ads, as they are now supported. 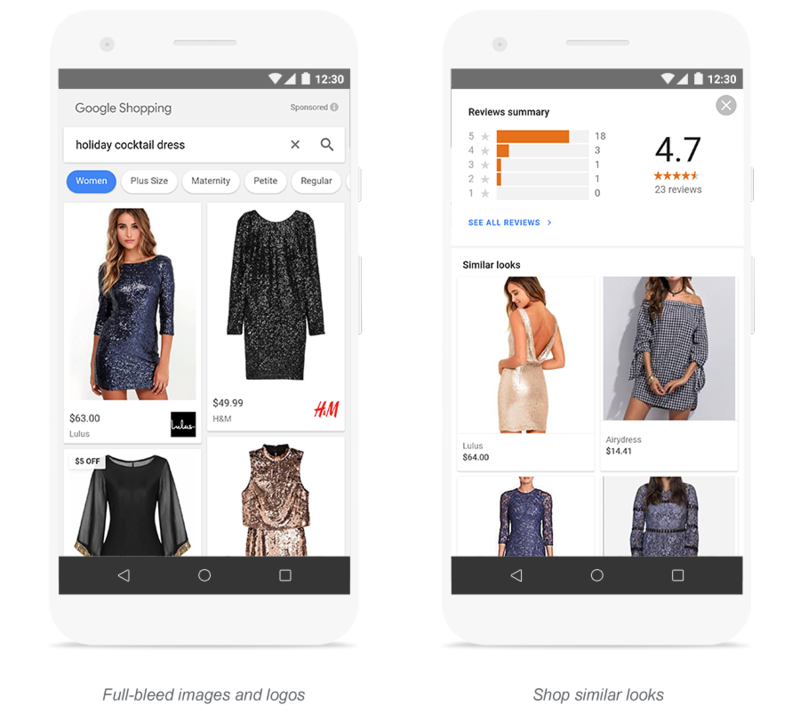 And to help you reach shoppers looking for just the right holiday outfits, we’re introducing a new apparel search experience which includes a visually-rich design alongside brand logos, and filters that let shoppers quickly narrow down options based on special sizing, price range and more. Additionally, "Similar looks" surfaces more recommendations based on a user’s previous clothing preferences. Time lag report (available now) - see how long it takes users to visit a store after clicking on your ad and understand how quickly they take action offline. New vs. returning customer report (coming soon) - understand how many of your store visits come from repeat customers.5 Together with the time lag report, this can help you gauge how your ads drive incremental visits. Demographic report (available now) - add store visits as a column to your existing demographic reports to see which groups are more likely to visit your locations. 3. YouTube Data, US, Classification as Store Tour video was based on public data such as headlines, tags, etc., and may not account for every such video available on YouTube, January - June 2015 and 2017.
later this year. With parallel tracking, users will head immediately to your landing page after clicking your ad while their browser processes URL tracking requests in the background. We've seen this help users on slower networks reach landing pages up to several seconds faster.3 When more visitors can reach and engage with your site more quickly, this can help reduce wasted ad spend and increase conversions for your business.